It’s fairly well known around the office that Cody is crazy. Whether it’s yelling at visitors or saying the 49ers are going to win the Super Bowl, Cody has a history of disturbing behavior. That’s why it came as no surprise to anyone when we saw Cody sitting stoically at his computer for 3 straight days, deep diving into his own 7 round mock draft. Why did he do it? Why do some people eat glue? It makes them happy, in their own way. 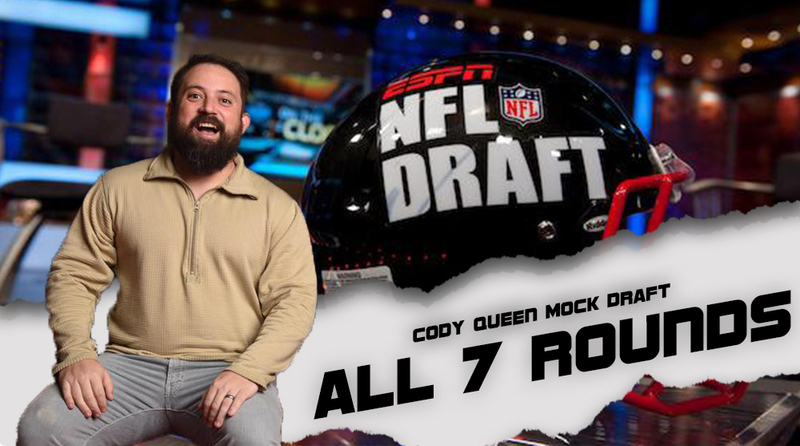 So anyways, here’s Cody’s 7 round mock draft. All 254 picks in their glory.